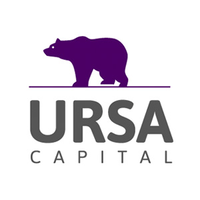 Ursa Finance, an upcoming business bank in the UK, is getting ready for launch. Interesting – unlike the wave of challenger banks and bank modernisations that aims to make every process quick and automated, Ursa leans a different way. It has been registered in Manchester since January 2017. According to the UK’s Companies House, it is headed by Arpan Gautam, who also founded the bank’s associated firm, Ursa Capital Partners. LinkedIn lists Sandeep Jain as CFO, having previously been at Standard Chartered for 20 years, holding the finance director position last. David Procter is listed as CTO, who worked at bankingtech supplier Sopra Steria until 2016.